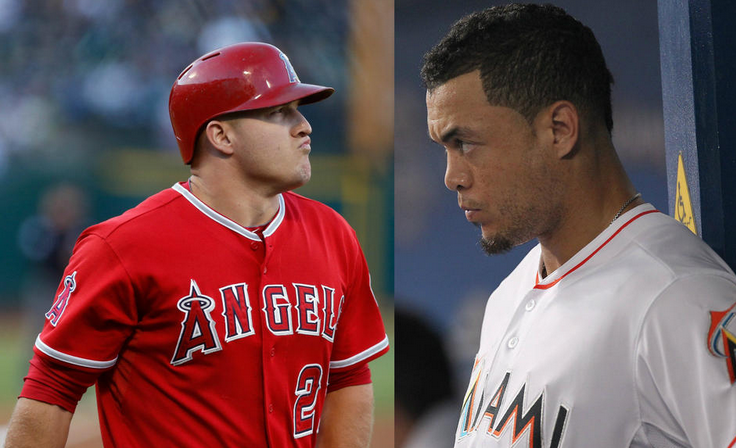 If there’s two things that baseball fans know, it’s that Mike Trout is great and that the Miami Marlins are cheap. Which is why there is something about this story that doesn’t quite compute. According to the Miami Herald, the Marlins are ready to offer their young superstar, Giancarlo Stanton, a bigger contract than Trout inked with the Angels earlier this season. As you can see from the quote, because Miami will have to buy out more of Stanton’s free agent years on a similar six year deal, they would logically have to offer Stanton more money than Trout received. That’s not to say Stanton is quite Trout’s equal; The Angels’ centerfielder has produced 28.4 WAR in 2175 career plate appearances, whereas the artist formally known as Mike has 21.1 WAR in 2640 plate appearances. But Stanton, who is just a little more than a year older than Trout, is probably the closet thing baseball has to Trout among the 24 and under set. 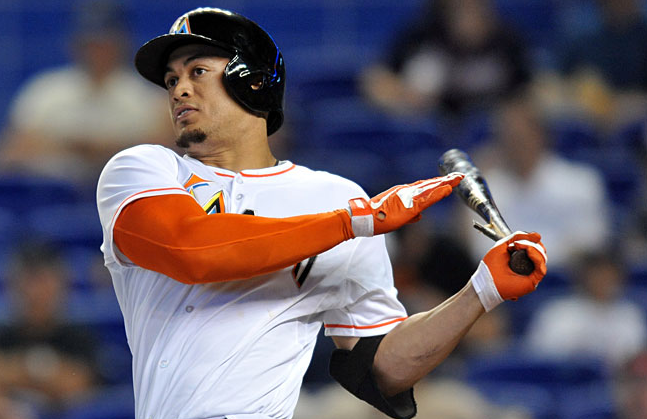 Stanton will be entering his second arbitration year in 2015. The Marlins got away with a relatively cheap $6.5 million salary in 2014 for Stanton because he had a down season in 2013. This year, however, Stanton had been best player in the National League before being sidelined with a gruesome facial injury he suffered on a beanball earlier this month. His next two arbitration years should approach or exceed the $20 million per Ryan Howard received earlier this decade. So the Marlins are are going to have to pay to keep their promising core of Stanton, Jose Fernandez, Christian Yelich, and Marcell Ozuna together for the next couple whether or not they offer Stanton a long-term deal. Will team owner Jeffrey Loria commit to more than two years? No matter what happens, we don’t see a no trade clause in Stanton’s Marlins future.